This brand strategy is based in the familiar and exotic, an environment both casual and welcoming, and an experience that is authentic yet unassuming and accessible. A restaurant’s brand story caught in a lobster trap. 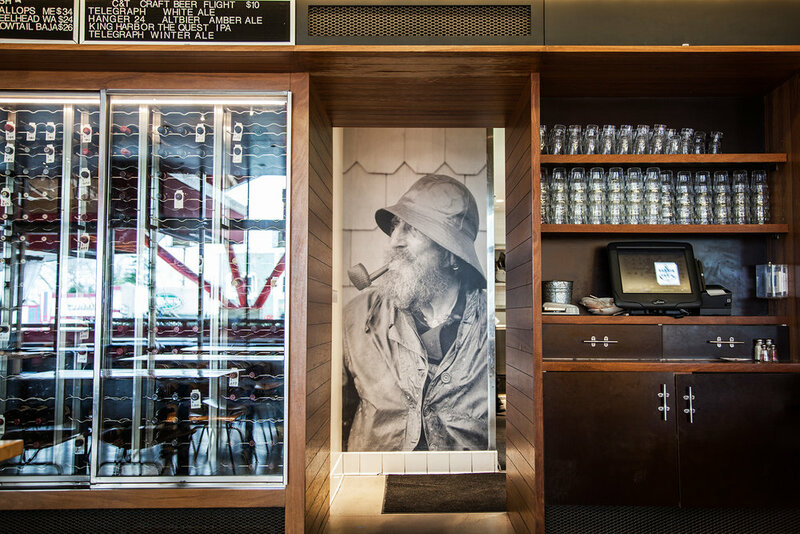 If ever there was an opportunity for branding to transport guests to another time and space, it was with Connie and Ted’s, a New England-style seafood “shack” on Santa Monica Boulevard in the heart of Los Angeles. And that was only one of the big dichotomies of this project. The second being the fact that chef/owner Michael Cimarusti is arguably one of the best chefs in the country and yet did not want, under any circumstances, for Connie and Ted’s to take itself too seriously. The design is the stuff of memory: for chef Cimarusti the summers he spent in Rhode Island with his grandparents Connie and Ted. For the rest of us, it is the mythic harborside seafood shack of our dreams. The freshest fish prepared in ways both familiar and exotic, an environment both casual and welcoming, and an experience that is legit and authentic yet unassuming and accessible. When it opened in 2013, Connie and Ted’s quickly became one of the hottest restaurants in Los Angeles, and no matter what part of the city you hailed from, everyone seemed to know of “that lobster joint in WeHo.” Things have settled down since then and the restaurant has become an even bigger testament to the New England places of Cimarusti’s youth: Connie and Ted’s is that reliable neighborhood restaurant where one can go for a quick drink, some oysters at the bar or what still might be one of your best meals in LA. 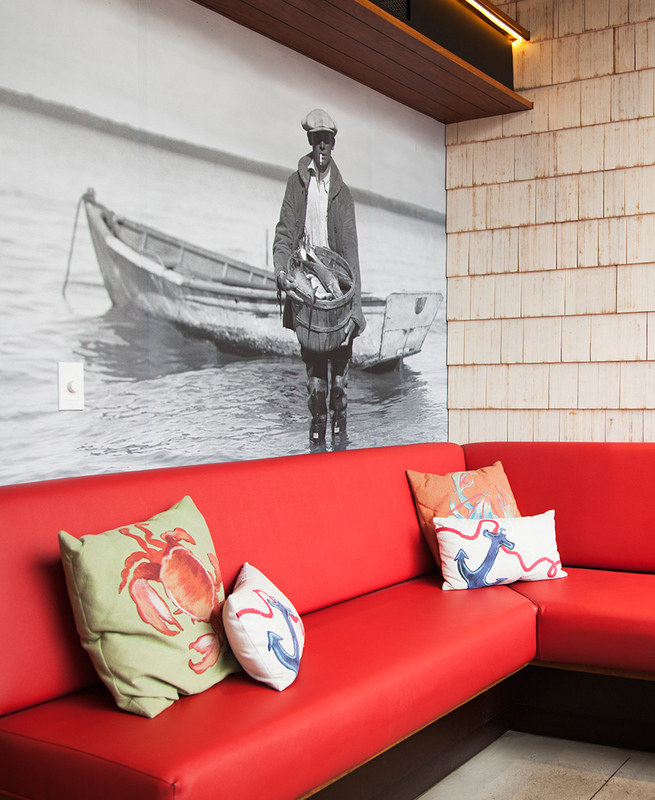 About a year after Connie and Ted’s opened, we helped the team open Cape Seafood and Provisions. In much the same way that C&T’s is a dream come true, Cape Seafood offers neighborhood residents exactly what they need: the freshest, sustainable seafood, prepared foods, and the most expert advice from fishmongers who know, literally, everything.